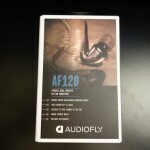 First of all I would like to thank Mark from KS Distribution for sending me out the AudioFly AF120 for trial review. After having previously reviewed the Audiofly AF45 back in 2012, I was interested what their latest addition the AF120 could prove. The AF45 was a bassy earphone that lacked in mids, but for its price of only £40 did a decent job. The AF120 on the other hand come in at around £165 on AmazonUK and around $150 on AmazonUSA. The price difference are quite substantial, where there’s a difference of around £70 between the UK and US. As I live in the UK, I will be reviewing it at the £165 price tag, which comes in at a very competitive price, with a lot of earphones in the under £200 price tag being able to compete with the earphones. 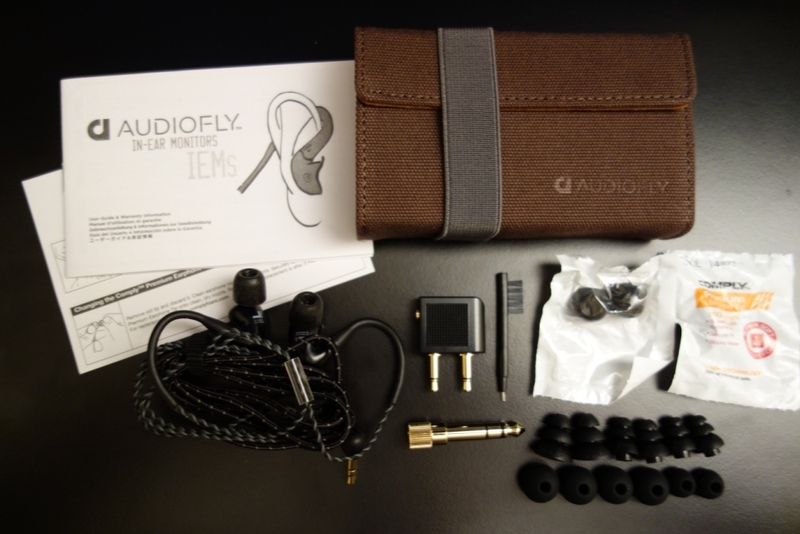 More info about the earphones and their specifications can be found on Audiofly’s website. Now let’s get on with this written review! 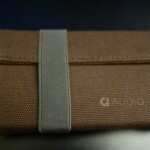 The packaging and accessories are very well done by Audiofly. The packaging itself looks very nice and has a sense of personal touch to it – giving it a nice non-marketing look. The contents within the box are also impressive, especially with the inclusion of Comply Foam T-100 tips. As you can see the overall contents are impressive. 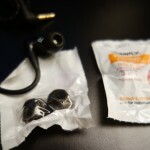 I really like what Audiofly have done here, as they’ve included a nice array of tips and on top of that have also included my all-time favourite tips, the Comply Foam tips. 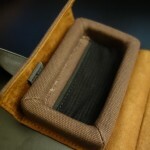 The only thing I feel missing here, from the £165 package is a soft carrying pouch. As much as I like the bigger carrying case, I do feel that it’s something I would leave at home or put in a bag – not something I would put in my pocket and take on the go. I should say however that the carrying case is very elegant and again has this nice personal-touch to it, where it doesn’t quite feel like something that’s been mass produced. Overall, near perfect inclusion by Audiofly. 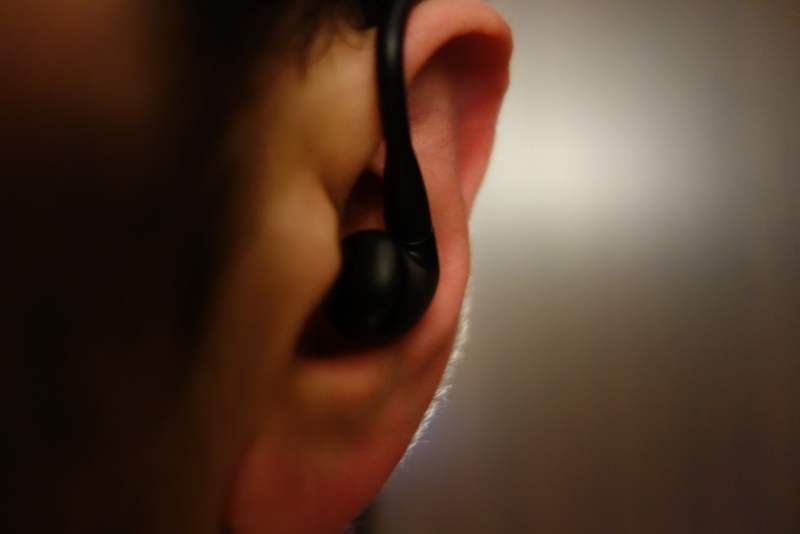 The build quality of the earphones is very good. 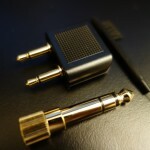 Starting from the jack, it’s terminated by a right-angled gold-plated 3.5mm jack. Moving to the wire itself, it’s made out of a fabric material – which for me isn’t a good design. This cable design looks and feels somewhat nice, but when it comes to practicality, the cable gets tangled very easily. From past experiences, I found it to be troublesome and also create microphonics (cable noise). Luckily, as the AF120s are worn over-the-ear the cable noise is eliminated – so much so that there’s no cable noise – which is something that was impressive to see, despite the choice of the cable. Therefore, I wasn’t a big fan of the included cable, as it does get tangled quite easily. 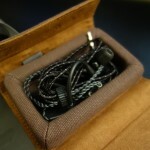 By the Y-Split, the fabric cable, turns into a braided cable – which looks rather different. I quite like the braided cable myself and have no major complaints about it – it should be noted that the cable should be treated with care as over time braided cables are known to loosen up and/or become exposed. Looking at the earphone its housing is made out of plastic, and despite it being lightweight it doesn’t give the impression of a high-end earphone, rather the plastic housing makes it look somewhat cheap – which is a shame considering the rest of the packaging looks great. On the inside part of the housing, there is a rather large white Left & Right indicator. On the outside of the housing, there is the Audiofly logo. Despite its looks the cable is not removable – I would have personally liked a removable cable, but at its given price point it’s understandable as to why it isn’t included (not many earphones under the £300 price-tag category have a removable cable). Overall the build quality is good, although not exactly perfect – as I would have liked to have seen a better cable included, at least one that doesn’t tangle as easily. Other than that the other points I mentioned are minor and mostly linked back to the design/looks rather than the build quality. As stated in the build quality section, the looks of the AF120s aren’t great. 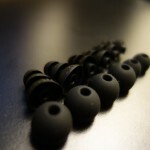 To me they remind me of a cheap set of earphones, rather than an expensive £165 set. I feel the looks do play a part in some people’s decisions to purchase, especially at a higher price bracket and therefore feel the AF120s are let down by their overall finish. 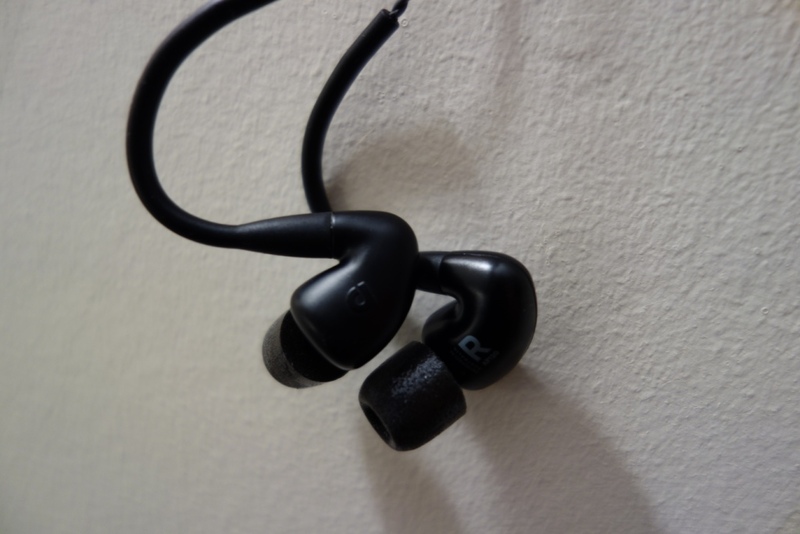 A simple paint of coat would have really changed the overall appearance of the earphones. The isolation of the earphones is surprisingly good, due to their large physical size, the earphones do cancel quite a bit of noise passively. Overall, the isolation is good and especially with the Comply Foam tips provides a great overall isolation – which is useful for busy commutes. Now the comfort for me was a little bit of a double-edged sword. I am very used to wearing over-the-ear designed earphones, however I wasn’t that comfortable with the design that Audiofly have decided to use. I can understand the logic, as for sports the earphones stay-in quite well and are snug, thus not falling out when moving around. However when it comes to comfort, I wasn’t able to wear them that comfortably whilst wearing glasses as the strand that comes out of the housing, which sits over-the-ear is slightly thicker than what I’m used to. 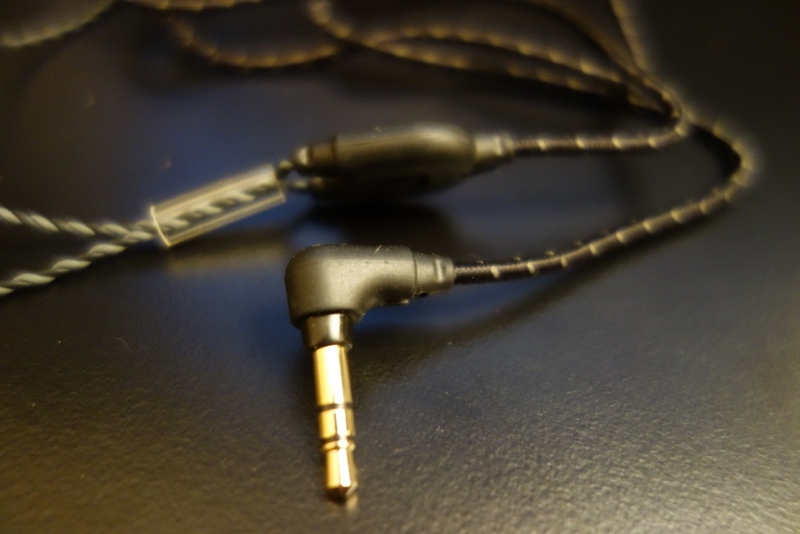 It’s not a huge difference, but definitely something larger than other earphones I’ve previously reviewed. 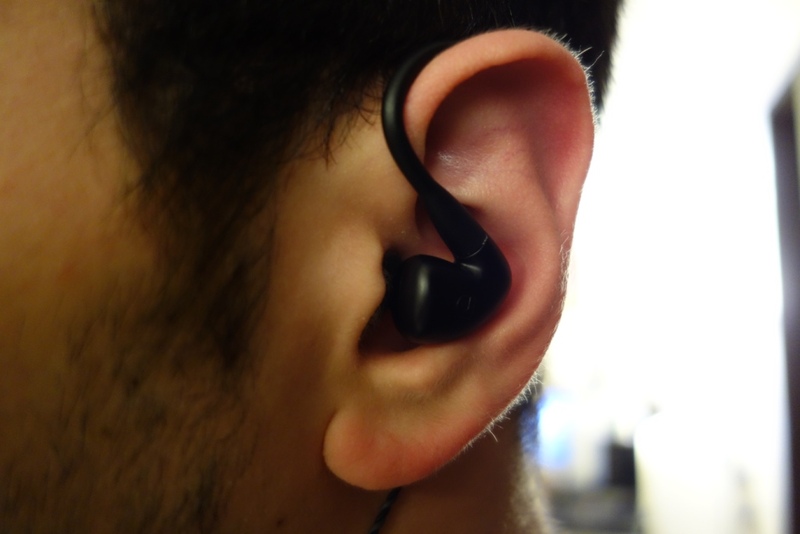 Now taking this into the wider perspective, I can see this being uncomfortable for smaller sized ears – as the design doesn’t quite bend all that well over-the-ear, which means that people with smaller ears might have problems with fitting these. As I personally didn’t have that many problems, I didn’t want to mark it down too much. Now the sound quality is something I was dubious about, as I was happy but not overly ecstatic about their much cheaper AF45. Therefore at the much higher price tag of £165, the AF120 sits in a lot of competition. For example with the DUNU Titan 1 and the Steelseries Flux In-Ear Pro among many others. My first impressions were quite dismal, with the sound being very compressed and poor. However, as I do with all earphones, by burning them in, I found the AF120s to greatly improve over my really bad first impressions. With that said, they went from terrible to mediocre. Given its price tag, I would say below average to say the least. I was told by Mark as KS Distribution that they were attempting a flat-frequency sound. The drivers with the AF120 are a Balanced Armature (BA) and a single 9mm Dynamic Driver (DD). 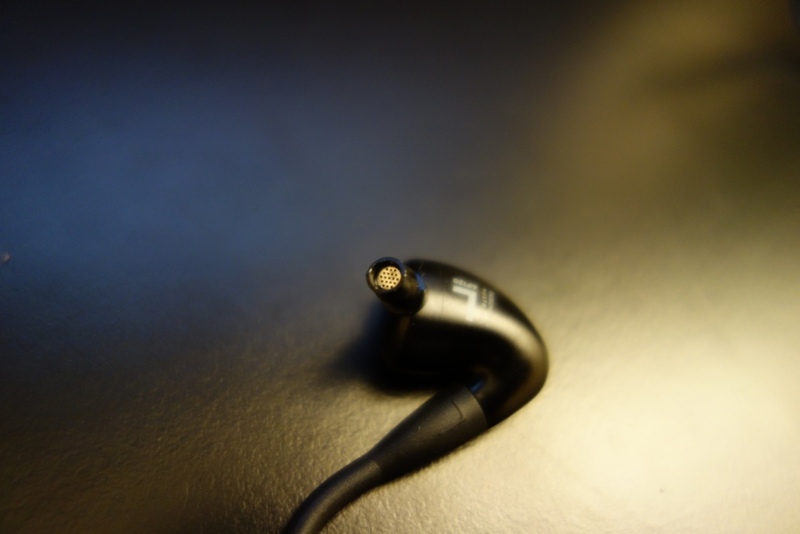 I have often found that most earphone companies don’t truly perfect the crossover, which essentially means blending one driver with the other (even if the drivers are of the same technology). The only company I know to have fully mastered the crossover is Phonak Audéo, with their PFE232s – despite only have 2 BA drivers they not only compete but also outstrip the competition who have sometimes double if not triple the amount of drivers within them. having the right balance is key – and unfortunately the AF120s just have a weird combination, which leads to a dull sound signature and a disappointing overall presentation. The lows are the best aspect of the AF120s, which is saying a lot. the sub-bass is there, but does drop off and doesn’t extend as much as kit should, whilst the mid-bass has a decent slam but sound a bit uncontrolled, which at its given price point isn’t something you would expect. 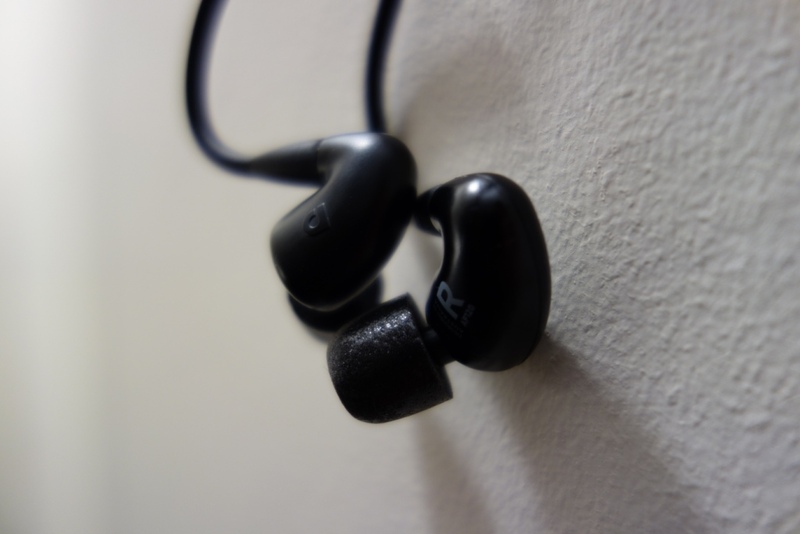 For a “flat-sounding” earphone, the good news is that the mid-bass isn’t overpowering, however I would have wanted a lot more control in the mid-bass region. The mids and highs are definitely a huge disappointment. The mids are very recessed and sound very pushed back. Despite not having overwhelming mid-bass the mids are something I would have expected to be a little better – just something with a bit more presence and more emphasis. The highs were at times sibilant, but overall were quite disappointing, in that they didn’t provide much sparkle and were rolled off quite quickly. This all led to the earphone sounding quite dull and also incapable of producing lush high-end tones. 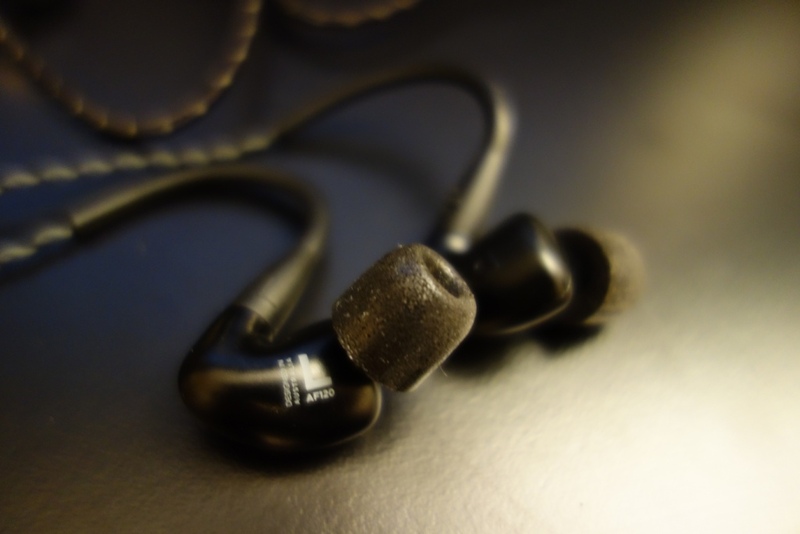 Overall the mids and highs were quite poor, with them presenting the earphones quite badly. 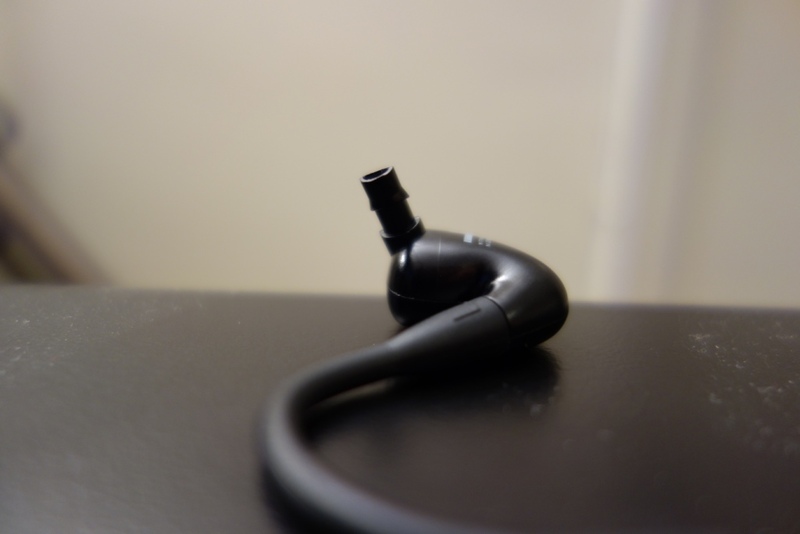 I have previously reviewed flat-sounding earphones and despite not being a major fan of them, felt they were capable. 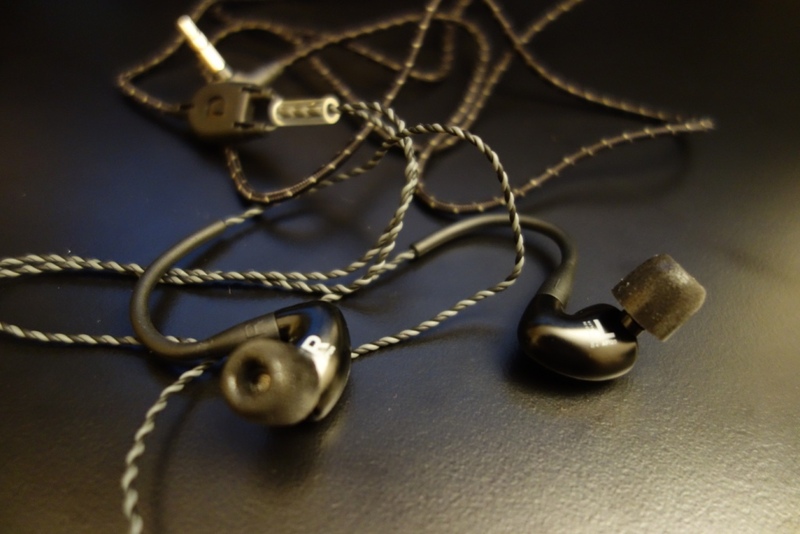 For example the Fischer Audio TBA-04, weren’t an earphone I would personally use, but they were so impressive that they featured twice in the IEM awards 2013, where Sonny from InEarSpace and myself recommended a bunch of earphones, and found the TBA-04s to be fantastic value for money, whilst also offering great sound. The TBA-04s were capable, whereas the AF120s aren’t capable of producing that same level of quality. The soundstage was average, they did give off a decent depth, but I felt it lacked in width. To add to that, the instrument separation and its overall musicality wasn’t great – this is probably due to its choice of a plastic housing. Despite plastic often used in earphones’ housing, I feel the one chosen in the AF120, didn’t aid its overall sound presentation. Overall, I wasn’t all that impressed by what Audiofly offer with their AF120s – the overall package looks nice and the looks can be forgiven, but the sound is the major element for me and it didn’t really hit the right notes (pun intended). The sound presentation was dull and felt incapable of dealing with low-end and high-end tones. Whilst the mids also were quite recessed and sounded very pushed back. In conclusion I can’t see why someone would buy these over the rest of the earphones out there which offer so much more, at even at a cheaper price (be it in the UK or US)! This entry was posted in Audio Reviews and tagged AF120, audio, Audiofly, Audiofly AF120, Earphones, In-Ear, Review, reviewing on June 15, 2015 by TotallydubbedHD.